TCSJOHNHUXLEY’s Progressive Bonusing system recently provided the biggest Poker Progressive Jackpot ever to be won at Tsogo Sun’s Montecasino in Johannesburg, South Africa. One of 14 casinos that make up the Tsogo Sun group, the jackpot was won by a local player, making him an instant millionaire. The Progressive Bonusing system installed in Montecasino comprises three tables with a minimum bet of R50 (approx. £3). Since the system was installed in August 2013, the casino has seen significant increased play. The large jackpot came about after the casino decided to raise the minimum bet from R25 to R50 in December 2016. This raised the base value of the jackpot from R100,000 to R250,000, making it even more sought after by table players. The winner, a regular Poker Jackpot player, is the first person to take home a significant pay-out on the Progressive Bonusing tables, which paid out a life-changing R1 034 600 (£60,850.00). Since paying out, the jackpot has returned to its base value of R250 000. With TCSJOHNHUXLEY’s Bonusing System operators can create multiple bespoke progressives and side bets for any table game. Progressive jackpots increment when a bet is placed and ‘reset’ once won. However, if one jackpot is won, the others remain in play (don’t reset) until they are also won. This increased chance of winning excites players as more achievable game outcomes, such as lower-valued hands in Poker, can end up being worth the most! “It’s fantastic to be a part of the winning experience, especially when someone becomes a millionaire at the turn of a card. 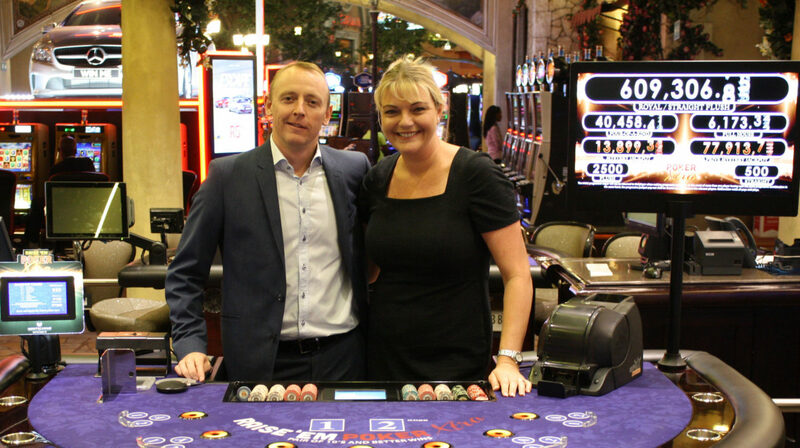 TCSJOHNHUXLEY’s Progressive Bonusing is a popular game type, and we’re proud to offer such a variety of gaming options at Montecasino,” comments Adam MacIntyre, Tables Manager of Montecasino.